The following is a paid review and is completely of my own opinion and is not influenced by being paid. If you’re interested in having me review your site or product, please view my advertising page. This is the strangest request for a paid review I’ve ever received. Instead of reviewing a website, blog, service, or even product, I’ll be reviewing a specific blog post. The post in question is titled This is One Virus You NEED to Catch and is from the blog RyanShamus.com. It preaches and teaches the major benefits of viral marketing, specifically through online videos. As the post explains, Wikipedia defines viral videos as: “video clip content which gains widespread popularity through the process of Internet sharing, typically through email or IM messages, blogs and other media sharing websites”. The post goes on to explain that “videos don’t always have to be relevant to your business to help you to drive website traffic to your site“. It basically explains that even though the traffic may not be targeted to your niche, as long as you’re driving traffic to your site, some of those people will click on your ads, fill out a lead, or even buy a product. 1. Video clips are best when they are short – 3-5 minutes at the maximum. People tend to have short attention spans and when they are browsing through a site of millions of videos, you only have a few moments to grab their attention. 2. If you want your videos to have viral potential, they need to be provocative, entertaining, interesting and unique. 3. Avoid including a commercial effect as these types of videos are not generally viral in nature. The best part of the post, in my opinion, are all the video-related resources it shares. 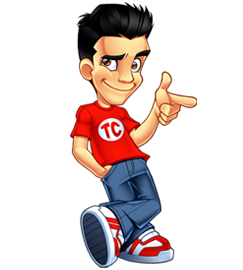 It contains links to sites for: video effects, online video converters, video creation programs, and sites to promote your video. It also explains how you can monetize your videos, and of course gives links to programs and networks you can use to put ads on your videos. I found out about a very interesting site from reading the post: Bubble Ply lets you take ANY video online, and allows you to instantly start editing it. You can add chat or think bubbles, put in images, and basically play around with it. What I love about BubblyPly is that it’s all instant. You don’t have to upload the video, make an account or anything. I think they are able to do this because they don’t actually edit the video, but simply create an overlay effect to superimpose over the video. It’s a simple but very smart idea. Anyhow, check out the post. 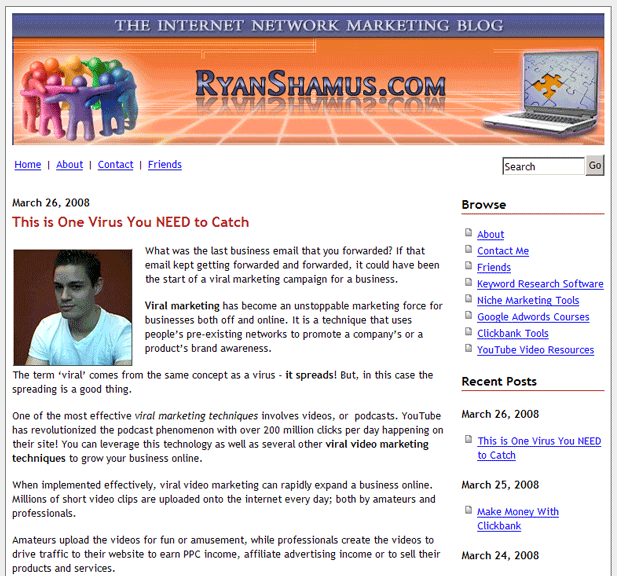 Again, it’s called This is One Virus You NEED to Catch and is from RyanShamus.com, and is a very resourceful post. He is also trying to get the post on the front page of Digg, so if you found his post useful, help pay him back by Digging it. I think everybody has realized at this point though that viral videos are a great way to drive traffic, but alot of it that I have seen hasn’t been super relevant to the site it’s promoting, so I wonder how well it would convert . . . The article was good, with some exceptions, like the ideea of cloning succesfull videos on Youtube with your own website adress. That’s crap. Anyway.. Your blog rocks Tyler! Didn’t I just see this on JohnChow.com? Get some original material….eek. Yeah, Bubble Ply is cool. Woody Maxim posted about that last year. Haha I watched that video sometime ago, really funny. 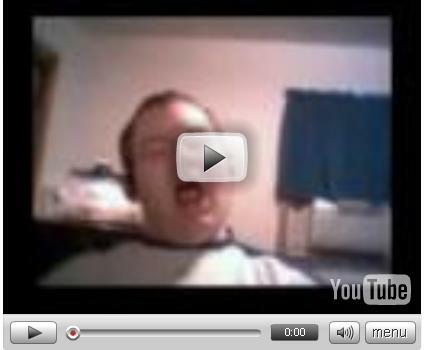 IMO any video can go viral even the silliest one (have you heard of magibon!! just stare at your cam and get millions of views).